Sunday Route withdrawn between Stepney East and Surrey Docks except for garage journeys. Further withdrawn outside Mon-Fri peaks and Sat pm between Stepney East and Surrey Docks. Sunday Route withdrawn altogether. 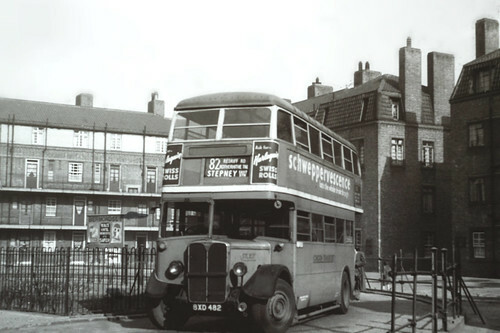 The buses used for this route were equipped with specially reinforced tyres because of the constant rubbing of the kerb in the narrow Rotherhithe Tunnel. It is also a strange coincidence that the next resurrection of Route 82 also used a tunnel.